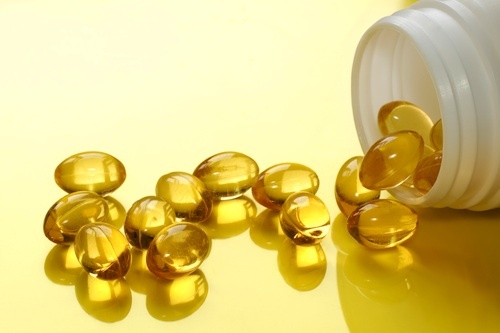 Supplemental Vitamin E and A, Worth The Risk? Perhaps among the most confusing of nutrition and wellness decisions that the average consumer must make is whether to take dietary supplements. The available information is deeply contradictory; while some supplements — like folic acid for pregnant women and vitamin D for babies — are considered nearly essential in medical care, research suggests that other supplements may be ineffective or even deleterious to health. A recent research summary published in The Medical Letter On Drugs and Therapeutics may help consumers and practitioners to wade through the conflicting information on supplements, as many supplements have both risks and benefits associated with their use . In the United States, 23.6 million children and adults — 7.8% of the population — have diabetes and one-third of U.S. adults are obese [1-2]. Obesity is associated with an increased risk of developing type 2 diabetes as well as insulin resistance, a condition that precedes the development of type 2 diabetes. New research published in the Journal of Nutrition now suggests that blueberries can help improve insulin sensitivity in obese, non-diabetic and insulin-resistant people . Here’s another reason to enjoy your coffee. A recent study in the July edition of the Journal Hepatology found a significant inverse association (meaning opposingly related; an increase in one variable results in a decrease in another) between coffee drinking and the risk of primary liver cancer . The study also found that serum levels of an antioxidant enzyme, elevated in people with low coffee consumption, were associated with an increased risk of developing the disease. Have you ever wondered if those healthy fast food meals are really any better for you? McDonald’s has the Fruit ‘n Yogurt Parfait, Wendy’s offers Garden Sensations salads and at Burger King you can even get a veggie burger. Yogurt, salad, veggie burger … these are all healthy foods. However, new research suggests that healthy fast food meals have the same effect on your cardiovascular system as a burger, fries and a soda. I love my coffee. Who doesn’t want (or need for all you coffee addicts out there) a cup of freshly brewed java to start their day? However, the bitterness of coffee is something most of us could do without. Now chemists in Germany and the U.S. say they have identified the chemicals that are largely responsible for coffee’s bitterness. Their study, one of the most detailed chemical analyses of coffee bitterness to date, was presented this week at the 234th national meeting of the American Chemical Society .